We have 3 bamboo inserts ( Newborn, Small and Large), Each insert is made of thirsty layers of thick bamboo/cotton mix, which gives our inserts incredible softness, strength and absorption. 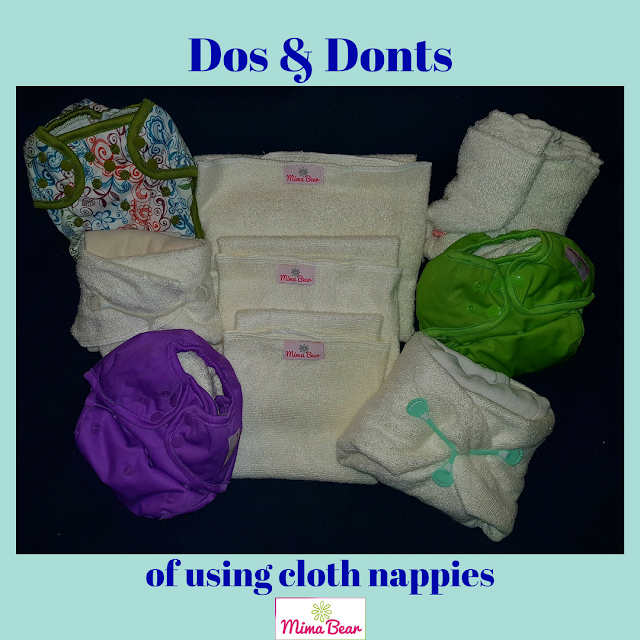 they also have snaps which can be fixed to the nappy covers, and fold guide lines for easy adjust-ability. Our Newborn bamboo insert which is specially designed to fit into our Newborn covers (also called the Teenie One-Size or TOS covers) in the XS, 2XS and 3XS settings. 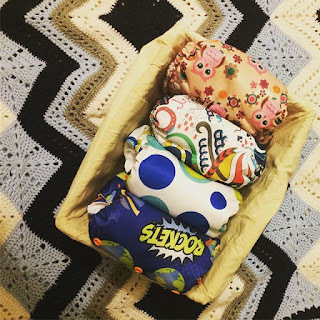 These are ideal for preemies as they are formed from 3 layers of bamboo/cotton fabric so are less bulky with just the right amount of absorption for a small newborn/ preemie. The newborn insert can be used as a booster with our other inserts making a truly adaptable insert. 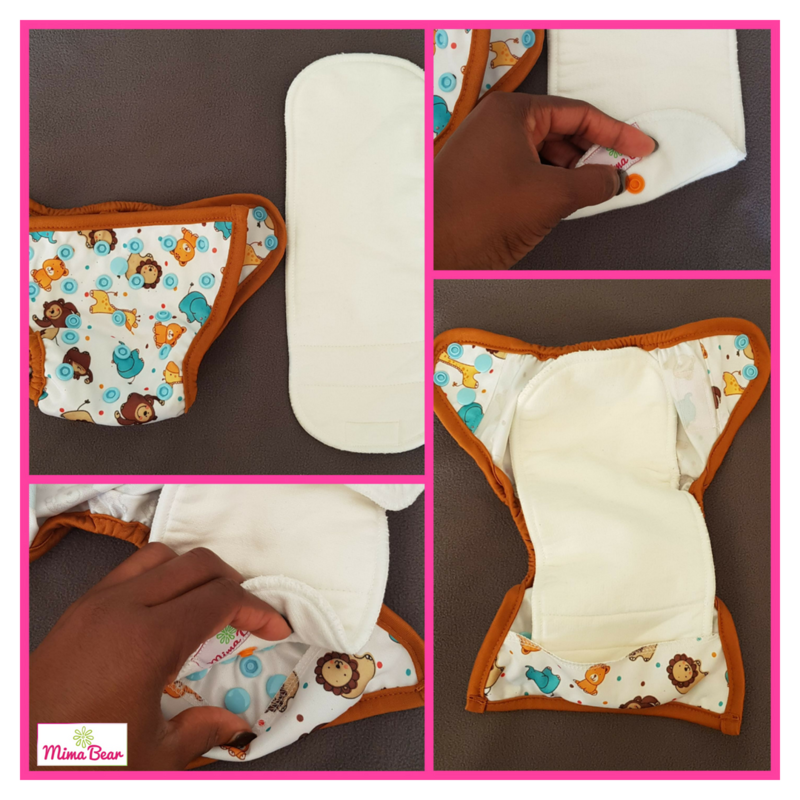 Our Standard bamboo inserts comes as 2 in a pack with a small and a large size both of which are easily adjustable to suit the various sizing of our diaper covers. This is done as 2 in a pack because we understand that babies grow and our nappies have been carefully designed to grow with them. 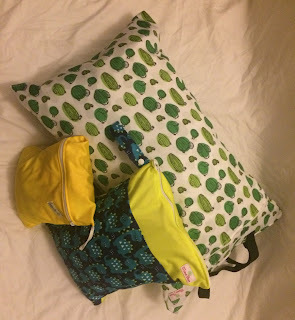 Each of the Small and Large insert is made of 4 thirsty layers of thick bamboo/cotton mix. and are designed to work together when extra absorbency is required. 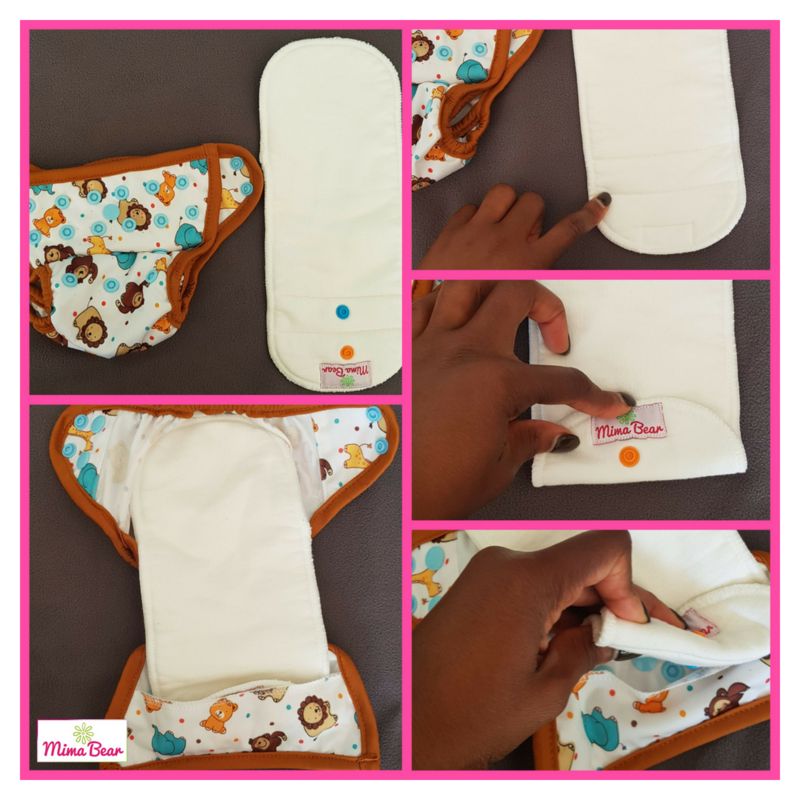 The small size is ideal as a booster for the large inserts when in the One-Size nappy covers. It also fits into our Teenie One-Size (TOS) Covers on the XS and 2XS setting. 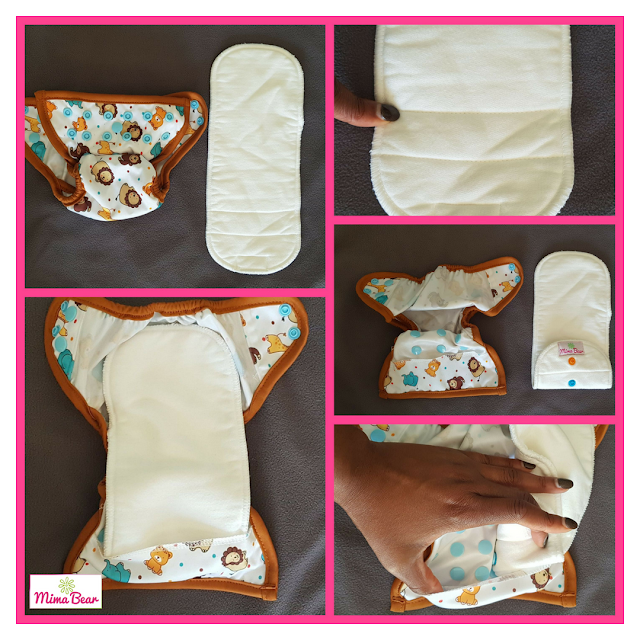 Flip the insert over and fiix the blue snap to the female snap on the nappy cover. With snaps facing down, fold the inserts along the second guideline so that only the orange snap is exposed. Fix the blue snap to the female snap on the nappy cover. With snaps facing down, fix the orange snaps to the female snap on the nappy cover. 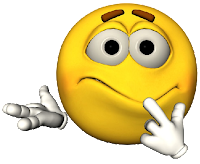 If you have any comments or questions, please drop us a line below or contact us HERE.